Electric cars are the modern type of cars. And speaking of electric cars, Nissan Leaf is undoubtedly one of them. This particular car was manufactured by Nissan – one of the most reputable car manufacturers today. Furthermore, it was introduced in US and Japan in 2010. What’s amazing about this compact hatchback vehicle is that it can run for up to the highest range of 107 miles on just a single charge. Well, that’s just surprising to hear! Furthermore, since electric automobiles are getting more and more popular today, we can’t help but ask, ”How much does a Nissan Leaf battery replacement cost?”. And to tell you, the battery is one of the most important parts of a vehicle. In fact, no vehicle engine can start without it. Although they can last between 3 or 5 years, they will eventually die no matter how well you take care of it. But thankfully, you can always replace it with a new one after it dies. And for Nissan Leaf, battery replacement is essential, especially if you’ve been using the car for some time. So, how much does the battery replacement really cost? Well, that’s what we are going to tackle today. 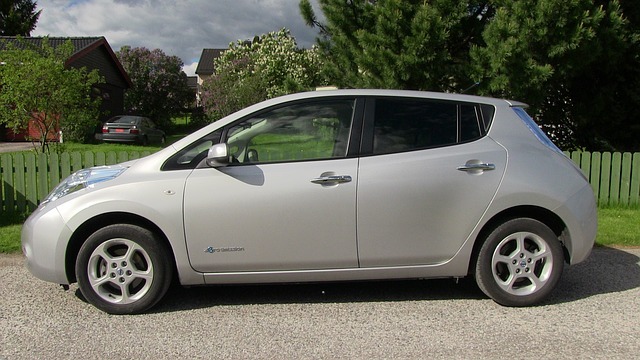 To find out the actual cost of Nissan Leaf battery replacement, read more below for more information. 1 Nissan Leaf Battery: How Much Does a Replacement Cost? Nissan Leaf Battery: How Much Does a Replacement Cost? The manufacturer of the electric car has provided us the clear answer to how much is the actual price of replacing the battery of the Nissan Leaf. But only some are informed about this. If you’re one of those whose not aware of it, the replacement of the battery will cost precisely $5,499 with installation included. Also, according to the manufacturer, the procedure is estimated to be completed about 3 hours. Although the replacement can be quite pricey to some, it’ll be absolutely worth it in the end. After all, you’ll be able to use your Nissan Leaf again, but this time, with new and powerful auto batteries. But not everyone can have a replacement. You should understand that there are several factors to consider before you can have one. 1. You must have or own the car – you must be an owner of the Nissan Leaf. 2. For those who have a car loan, you are required to get the approval of your lender first. 3. You are not allowed to keep the old battery, you will have to surrender it back to the manufacturer. This is for recycling purposes. Moreover, Nissan allows every Nissan Leaf owner to finance a new battery which will cost around $100 monthly. Once you are completely paid with the monthly payment, that means you own it. Also, what’s amazing is the replacement will have many features and benefits to offer, and this include the cooling upgrades. The manufacturer calls the auto batteries replacement as “lizard” battery. But why? In comparison to average ones, this lizard can effectively withstand higher heat temperatures – it manages heat better. And because it can survive extreme temperatures, early degradation will never be a problem. Because of its lizard chemistry, we can’t deny the fact that the replacement cost is definitely worth it. Well, the replacement is quite expensive – that’s for sure. But having one will keep your vehicle running well and smoothly. And obviously, you’ll get to be able to enjoy and use your car to its full capacity when it is in good condition. As soon as you notice that your car battery is dying, don’t hesitate to replace it right away! Don’t forget that the entire replacement process can take some of your time and cash – the earlier you act, the better. Besides, you are not the only one who owns a Nissan Leaf – that’s for certain. Without a doubt, the life expectancy of the battery of a Nissan Leaf is pretty long. However, several conditions can negatively affect its life. But to tell you, it does not matter how well you take care of it, it will die and that is unavoidable. So, you might be wondering what are the conditions that can degrade its life. ● How you use it and how many miles you regularly drive it. ● How often you charge it. ● The climate and the temperature. 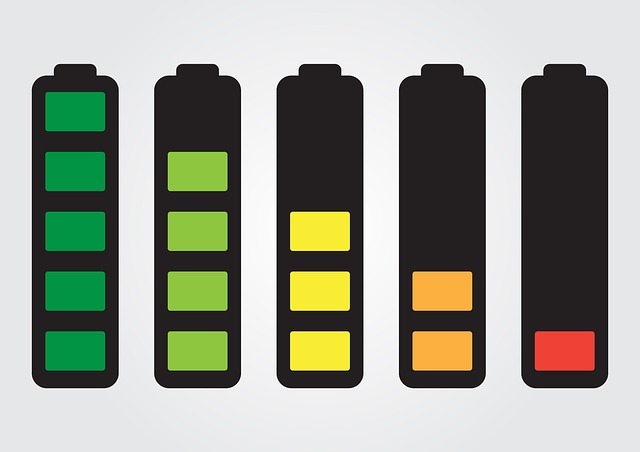 Obviously, the longer you drive your car, the faster the life of the battery degrades. 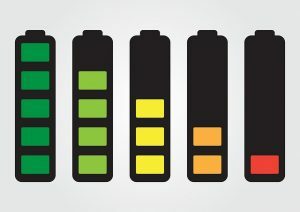 And you should understand that for each time you recharge, your battery life degenerates. To simply put, the more often you recharge it, the quicker it will degenerate. Also, most batteries can’t withstand extreme heat temperatures as it tends degrade faster. Regular maintenance of auto batteries is essential to keep them working well. Although they will die, maintaining them will prolong their life, which will allow you to save more money than to spend more on a new one. Moreover, batteries are, in fact, quite expensive! Brand new ones could cost a lot, and that’s not good to hear for those with a tight budget. Thankfully, taking care of it properly and regularly will let you start the engine of your vehicle as easy as a piece of cake. Well, here are the steps you can follow that will help you take proper care of your auto batteries easier. 1. Always inspect your battery terminals. Make sure that the terminals are clean and show no signs of corrosion or leaks. Do your best to prevent any leaks, rust, or corrosion from your battery. Don’t forget that these elements can be harmful to your auto batteries. 2. When your vehicle is not running, turn off its lights and don’t ever forget to unplug any accessories. 3. Did you know that extreme heat temperature can damage the battery and its capacity? Well, yes – you read that correctly. For you to keep its capacity, try to store the battery in a cooler place, but not too much! 4. Using the solution of clean water and baking soda, apply and rub it on the terminals using a non-metallic brush. This will let you easily avoid and completely eliminate those nasty corrosions. 5. You might find your engine struggling to start a bit during winter. That’s just normal. However, if your battery is showing signs of struggle even when it is not winter yet, your best option is to test or replace it right away. 6. Make sure to inspect each part of your battery regularly. This includes the cables, terminals, fasteners, and posts. Keep an eye on these things and watch out for corrosion. If ever you spot any corrosion, don’t panic! Simply use a wire brush to remove it. 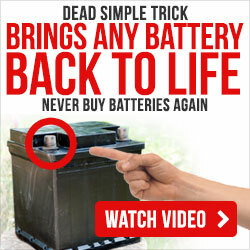 Yes, all auto batteries die, and that’s a fact. But if you take care of it daily, you’ll be able to use it for longer periods and also avoid early degradation as well! With that being said, the Nissan Leaf battery replacement cost is not that bad. And yes, the process can consume some of your time, and keep in mind that you are not the only customer they have. Whenever you need a replacement, don’t hesitate to call your dealer as soon as possible.